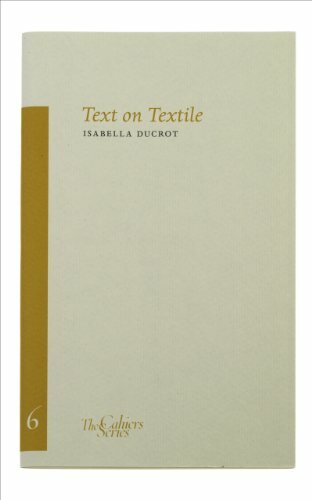 Isabella Ducrot is a Roman textile artist and painter, who in this cahier presents reflections on the nature of textile and weaving which arise both from her major textile collection and from her close reading of mythology and art history. Her meditations are illustrated by her own art and are introduced by a specially-written poem by the celebrated Italian poet Patrizia Cavalli. Isabella Ducrot is a Neapolitan artist who lives and works in Rome, frequently using woven cloth as the basic material or ground of her paintings.